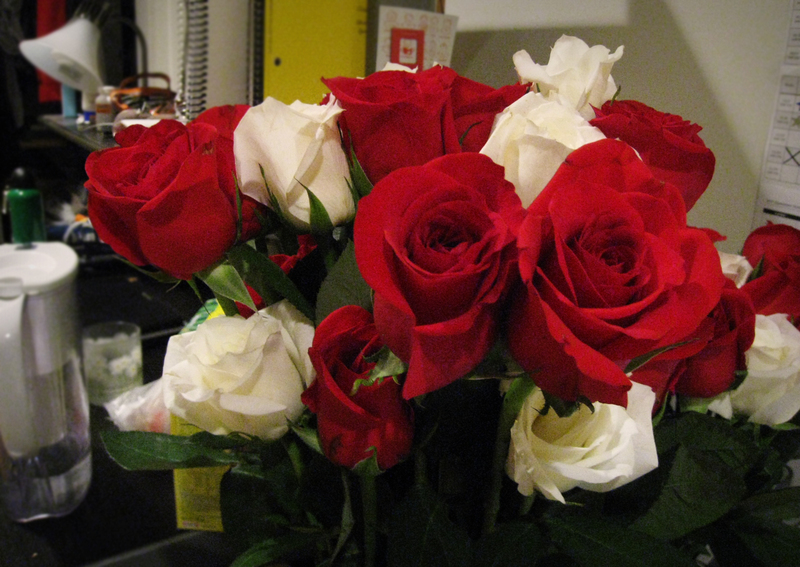 The Boy and I celebrated our one year anniversary with a TON of roses and dinner at Cheval Blanc in Old Town Pasadena. The Boy took note of how much I like French food and made a reservation here. The service at this elegant little restaurant was impeccable, the duck confit I ordered was splendid, and the Grand Marnier souffle was almost heaven on earth. The only problem was that all of the patrons at Cheval Blanc fit into the 40+ years old category, making the Boy and I, at age 20, the youngest customers of the night. It's strange to think that it has been one year. Honestly, I've never had a relationship last that long before I got bored or the other half got bored. But every time I want to call it quits in this relationship, I can't bring myself to do so. The Boy is too good to me. I've never had any other boy treat me as well as he does. So I'll just have to wait and see how this one pans out.